German NGO Sea-Eye that owns the ship with rescued migrants has previously urged Malta and Italy to open their ports for them, but Rome has refused to accept the vessel. 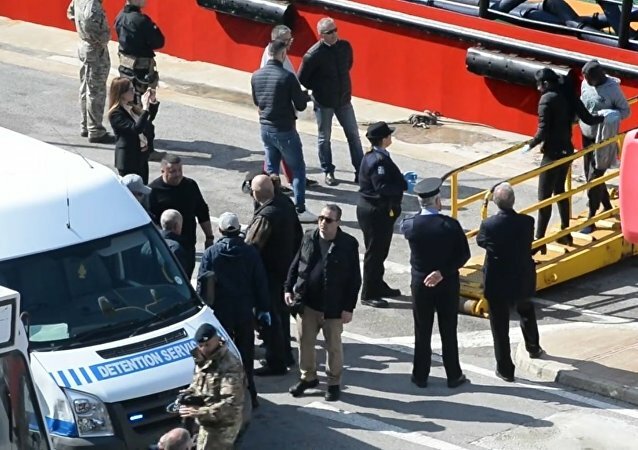 Malta and Libya have also refused to accept the rescued ship, noting that activists encourage human traffickers in the region. 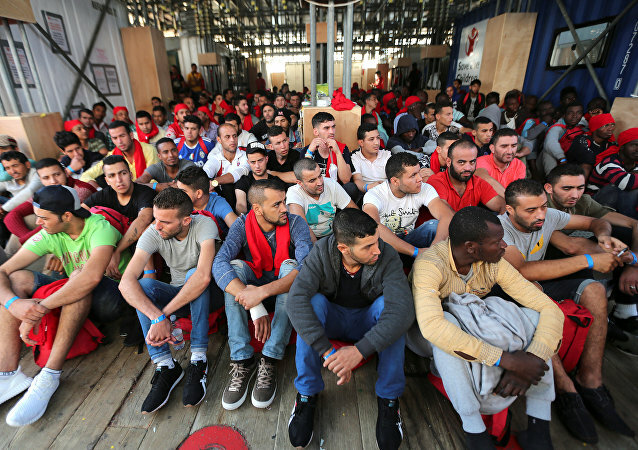 MOSCOW (Sputnik) - A merchant ship has been hijacked by migrants it had rescued in the Libyan waters and is currently heading toward Malta, media have reported, citing the Maltese Armed Forces. 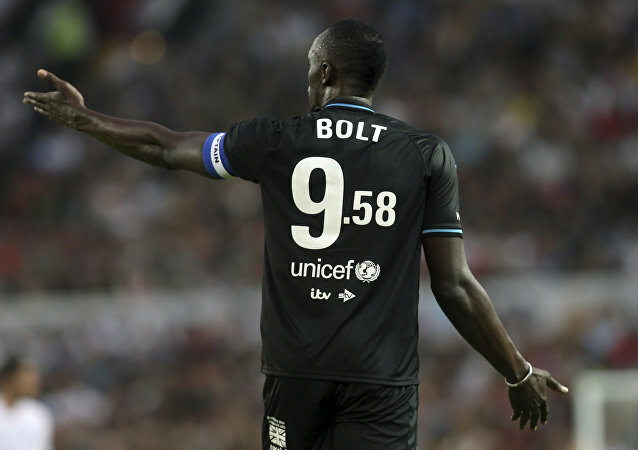 Maltese club Valetta FC has offered eight-time Olympic champion Usain Bolt from Jamaica, who is now pursuing a pro-football career, a two-year deal. The superstar sprinter is now playing for an A-League club: Central Coast Mariners in Australia. Italy has refused to grant access to another migrant rescue ship, suggesting that Malta should accept it, a proposal that has been rejected. The decision came right after Rome denied entry to almost 630 migrants from the Acquarius rescue vessel. Radio Sputnik has discussed the issue with political scientist Riccardo Cascioli. MOSCOW (Sputnik) – The Maltese government said Wednesday it was recalling the Maltese ambassador to Russia for consultations in connection with the poisoning of former Russian spy Sergei Skripal in the United Kingdom. Five months after Maltese reporter and blogger Daphne Caruana Galizia was killed by a car bomb, another investigative journalist has been assassinated in Europe. 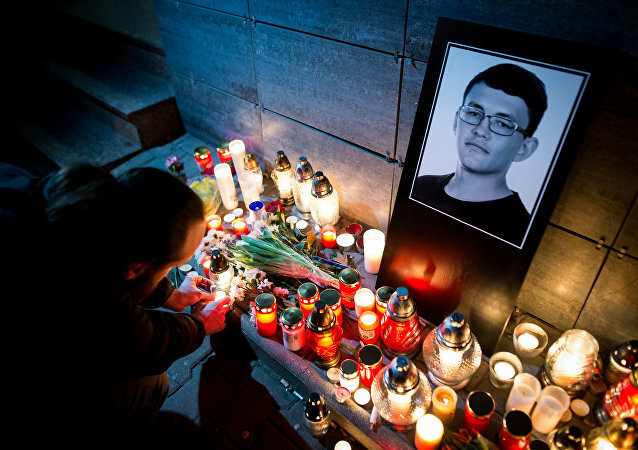 Jan Kuciak, who was killed along with his girlfriend in Slovakia, had also been investigating business transactions on the island. Caruana Galizia, who ran a popular blog on which she relentlessly highlighted cases of alleged high-level corruption involving politicians, was killed in October. Thousands of Maltese residents held a demonstration in Sliema on Sunday, calling on the government to carry out a thorough investigation into the murder of investigative journalist Daphne Caruana Galizia. The 53 year-old investigative journalist, Daphne Caruana Galizia ran the hugely popular blog ‘Running Commentary’ which led Malta’s Panama Papers investigation and brought to light several other corruption scandals in her home country. Daphne Caruana Galizia, an influential blogger in Malta who had reported on political corruption, was killed by a car bomb on October 16. Sputnik spoke to a Maltese journalist who said she was as well-known as the Pope and seen as either a "liar" or a "crusader." Leading insurers from around the world have taken action to withdraw support from fishing vessels which are illegally plundering the seas. The initiative was launched at a conference in Malta on Friday, October 6. 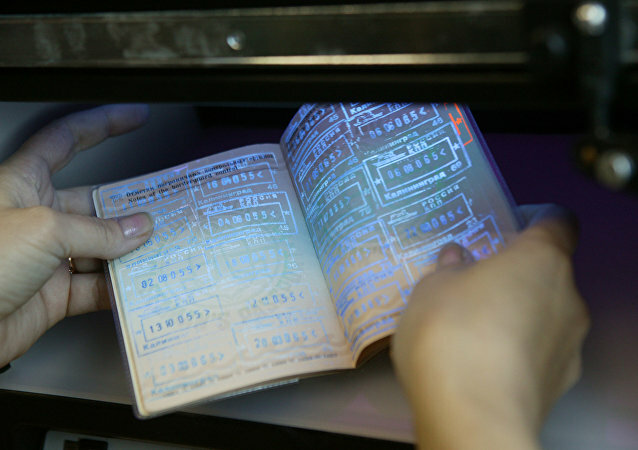 Questions have been raised about so-called "golden visas," under which multi-millionaires and their children can pay for residency in Britain. Following Brexit, demand for them has dropped as the super-rich choose countries which will remain within the European Union.